Finally, the Relationship You Always Wanted with Your Doctor. 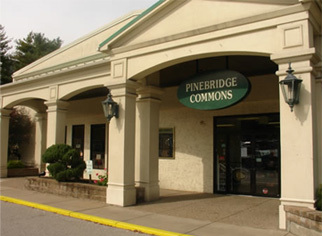 Our practice is located on the second floor of the Pinebridge Commons business center located off of Route 19 in Upper St. Clair, PA (just a few minutes south of the South Hills Village Mall). The street address is 1580 McLaughlin Run Road, Upper St. Clair, PA 15241. Click below for directions from your location to ours. Our office hours are Monday through Thursday 9 a.m. to 3 p.m. During normal office hours please call us at 412.319.7215 or use our online scheduling system (click button below) on PatientFusion.com to make an appointment. After hours, you can still request an appointment on PatientFusion.com.